A study of a spray of guelder rose, with a cluster of berries; with an inscription above the drawing; acero frutta, di corallo. Around 1505-10 Leonardo executed a series of studies of plants and flowers, in preparation for a painting of Leda and the swan. The painting was to have a foreground teeming with plants and flowers, though these botanical studies grew to be independent of the painting and were pursued simply out of curiosity. 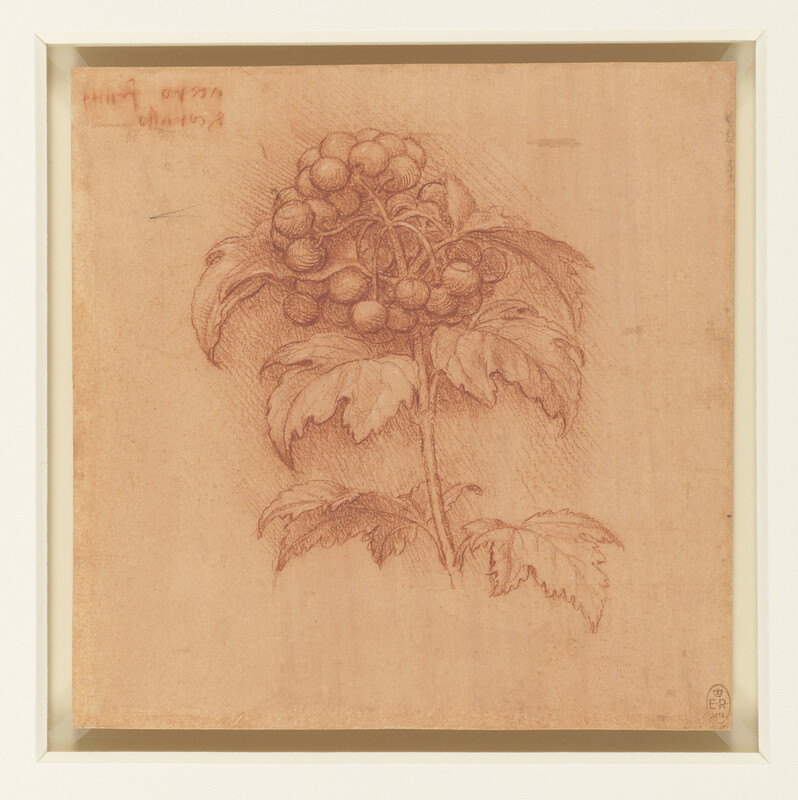 Leonardo identified the plant here as an acer or maple (his inscription reads ‘acer, coral[-coloured] fruits’), but it is probably the guelder rose, Viburnum opulus.